As we head into the new year, many of us will sit down for that yearly tradition: deciding on a few “New Year’s Resolutions” to focus on in the coming year. Interestingly enough, these resolutions tend to be pretty similar from year to year (such as “lose weight”…”exercise more”…etc). Funny how that happens, isn’t it? What if, this year, you decided to make a new kind of New Year’s Resolution? Instead of focusing on losing weight or exercising more, consider making a resolution to finally take care of that nagging issue which has been limiting your ability to fully enjoy your life! Some of us deal with back pain, neck pain, shoulder pain, or knee pain which we know we should take care of “one of these days,” but somehow we just never get around to it. Whether it’s affecting your fastball or just making it difficult to go up and down stairs, why not make 2017 the year to finally take care of these issues? You may not realize it, but there is a very easy way to get this process started. You guessed it…Physical Therapy! With “Direct Access” laws in NY state, you can see one of our physical therapists first – without needing to see a doctor for a prescription! Our physical therapists can perform a thorough evaluation to determine if you are a candidate for physical therapy, and can develop an appropriate treatment plan for your specific condition. If we feel that your condition requires a specialist, we can even refer you to a local health care professional (physician, surgeon, or podiatrist) who will best address your concerns. Regardless, physical therapists can help you finally get to the bottom of your specific condition. In fact, sometimes just by making the decision to address these aches and pains can lead to many more improvements over the course of the year! Many of our patients say that their rehabilitation programs are just the “spark” that they needed to get back into a life of fitness and wellness. Once you’re feeling better, it becomes easier to move and to participate in your daily activities. This makes it easier to keep up with an exercise program…which can eventually lead to weight loss, better health, and better quality of life! 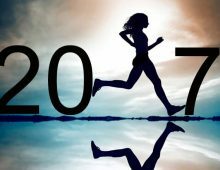 This year, make it your resolution to finally take care of that ache, pain, or problem that has been limiting your enjoyment of life, and make 2017 your best year yet! Call us at (845)896-3750 to schedule a consultation.